The Philips Fidelio M1 won the headphones of the year in 2012, and this year it is back in style with two new luxury finishes, with bespoke white leather of ‘le blanc’, and a racing inspired black and orange ‘le mans’. 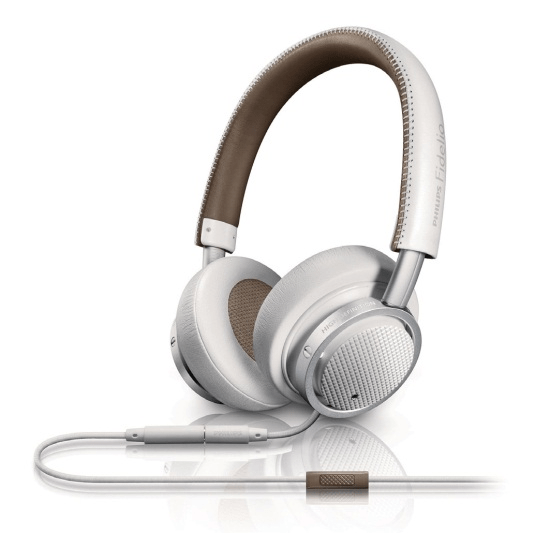 Philips proudly say that every aspect of the headphones are designed in pursuit of perfection, function and style. The beauty is that they are designed with comfort in mind, and as a habitual audiophile, this is definitely something I am very keen on. The components have all been chosen to give you the best performance, and to ensure a light but rigid structure, all plastic has been replaced by metal components. 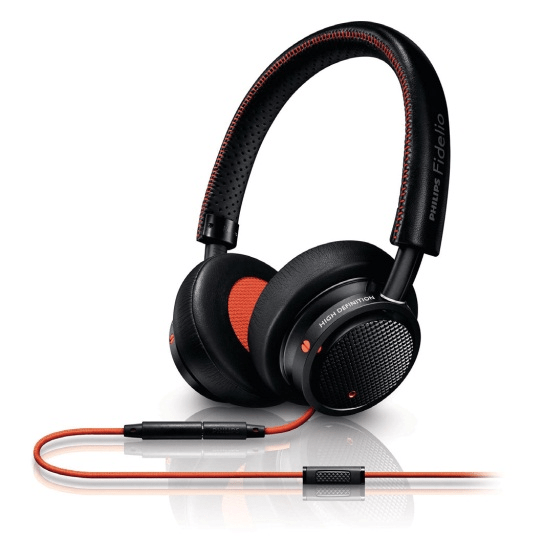 It is also mentionable that the headphones are designed for a good isolation and privacy while on the move. These feature at £160 as a starting retail price. London, June 2013 – Already acknowledged as one of the headphones of year in 2012*, the multi award winning Philips Fidelio M1 is back in style in 2013 with two new luxury finishes – with the bespoke white leather of ‘le blanc’ and the racing inspired, black and orange of ‘Les Mans’. Every aspect of the Fidelio M1’s are the result of a passionate pursuit of perfection. The subtle design is a direct influence of form purely following function, while their style is inspired by the hand crafted detailing normally reserved for the luxury goods industry. Components have also been selected purely on their ability to enhance the performance of the product and include: genuine lamb skin leather, cast and cold rolled aluminium, high strength stainless steel and acoustically selected memory foam. The result is the look and feel of a luxury product, in combination with supreme comfort in use and the Fidelio signature sound of exceptional neutrality, detail and accuracy. To ensure that the M1’s construction is both light but very rigid, plastic has been replaced in many structural elements by metal components, designed for rigidity and damping properties – to reduce the unwanted vibration and resonance that can blur sound. It is also of great importance that, when listening on the move, the headphones have good isolation and privacy. For this reason the M1s are primarily a closed back design, to allow minimal sound escape to the outside world. However, the M1’s have been vented to allow bass performance that is both deep and tight. The cans feature one main vent and two secondary vents, designed to give enough compliance to the driver to allow it to reproduce bass response down to 20Hz and below. The ear shells are mounted on special grade ‘engineering’ plastics, to add stability and further dampen unwanted vibration to ensure an accurate, incisive sound. The ear-pads feature deluxe memory foam cushions – with the foam grade specially selected for both its acoustic tuning and noise isolation properties – while the outer cover of protein leather also provides a low risk of allergic skin reactions should the M1s be used for prolonged periods and provides the highest standard of long-lasting comfort. The headband features a genuine lamb skin outer selected for its flex and stretch – which is required to produce a smaller yet uniquely taut headband design. The special structural stitching keeps the headband together by maintaining material tension, and by providing the same degree of flexibility as the lamb skin. A low clamping force ensures the headphones are firmly held on the head but without becoming uncomfortable. In addition, the headband is fully adjustable to provide a perfect fit, ensuring your music enjoyment remains private, uninterrupted and retaining the spatial, detailed music experience. The Fidelio M1 headphones are now available in ‘Les Mans’ and ‘Le Blancs’ finshes plus the original classic all black version with an SRP of £160. Lol. There is a lot of other very ‘simple’ stuff too 🙂 But thanks for visiting!